Hey, everyone! 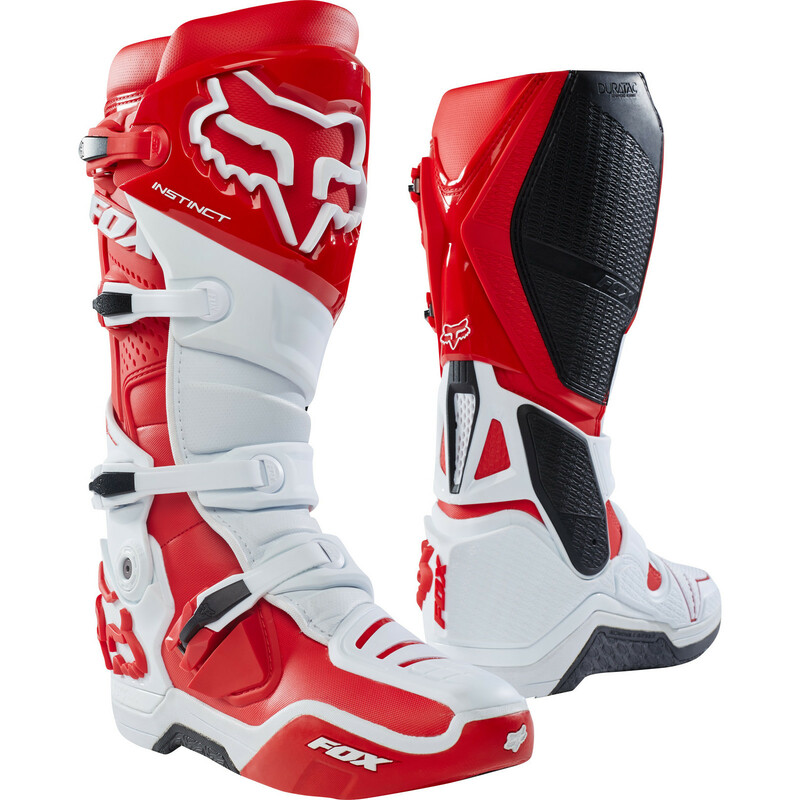 Yet another Fox Racing blog entry, we’re still very excited to have such a prestigious brand in our shop and I’m sure you’ll get tired of all the Fox blogs soon enough. 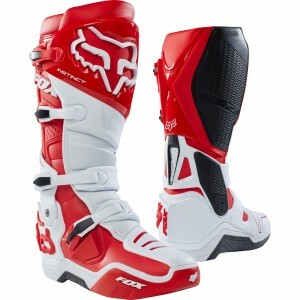 But I have been saying for ages that I should blog about more MX stuff, right? 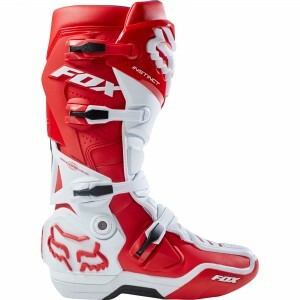 So, you’re welcome and this time I’m presenting you with a pair of MX Boots- The Fox Racing Instinct Motocross Boots. So lets get the worst thing about these boots out of the way so that all the cool stuff about them can lessen the sting of it later- The Fox Instinct Boots cost £409.99. I know! It’s a lot of money! But don’t let the price tag put you off just yet. With a lot of money comes a lot of reasons for it costing so much and despite what you may think; you’re not -just- paying for the world’s number 1 Motocross brand. Fox gear is made by MXers for MXers and a lot of research has gone into their gear to make it some of the most protective stuff on the market. 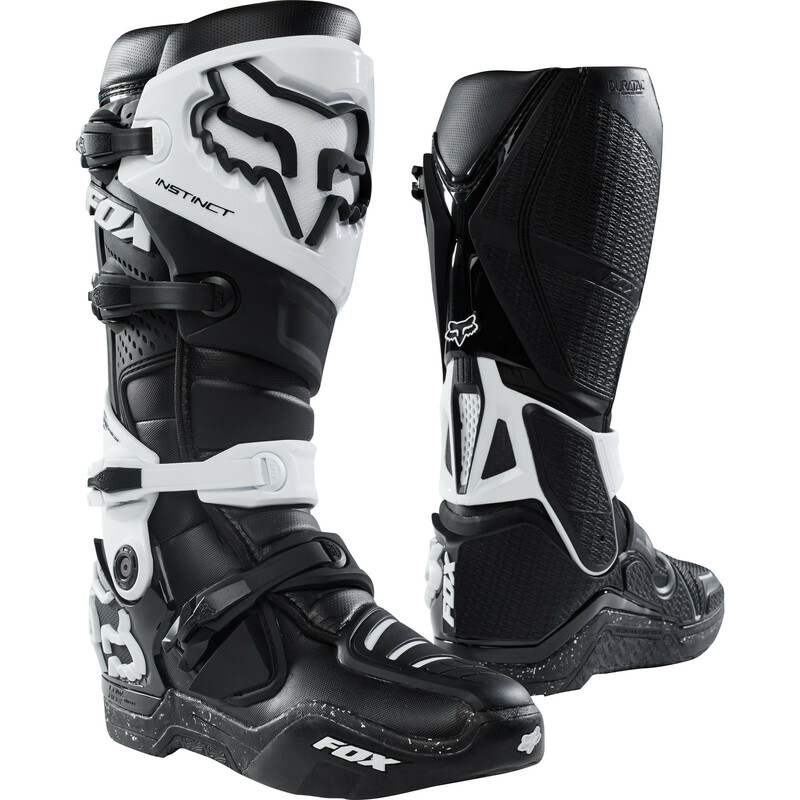 Your feet and shins are basically clad in armour when you’re wearing the Instinct Boots. They’re really, really sturdy but also really really comfortable. 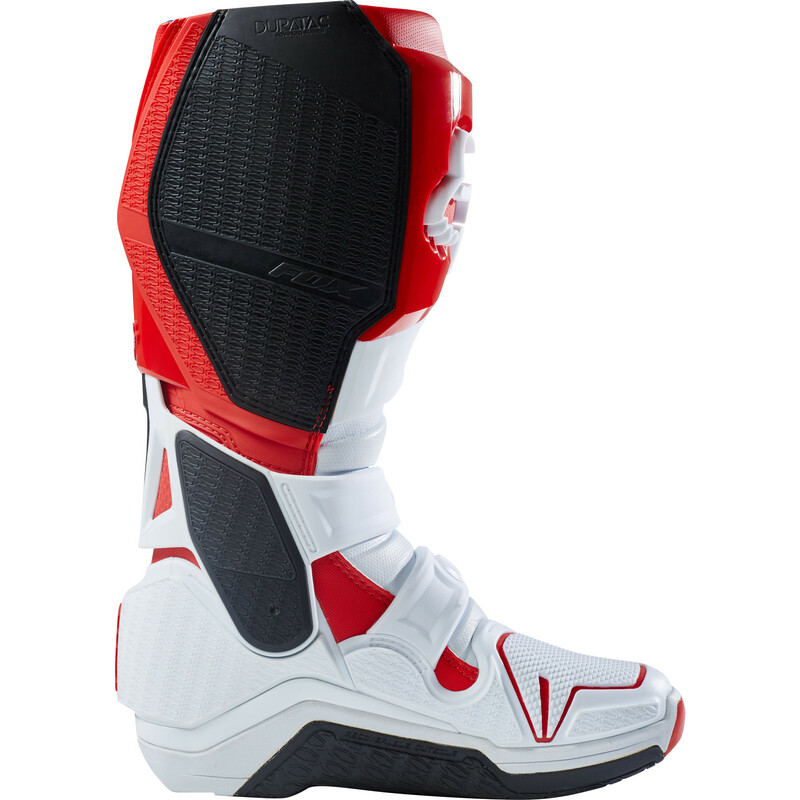 The hinged armour that surrounds the ankle serves a triple-threat purpose- Keeping you armoured, keeping things as flexible as an MX boot can allow while also having a hinge lockout to prevent the foot and ankle from hyper-extending in an accident. The buckles and closing mechanisms on the boot are also really interesting, most boots I’ve been use a mechanism where a T-shaped rod slips into a groove and then the buckle snaps down, but the Instincts have something I’ve never seen before. Instead the ends of the buckle strap have a sort-of ball joint that sits in a concave shaped groove so the buckle can be snapped shut. 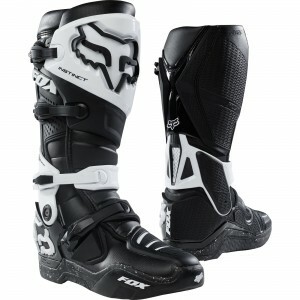 It’s a really sturdy mechanism and makes closing the buckles a little more flexible and comfortable than on any other MX boot I’ve come across. 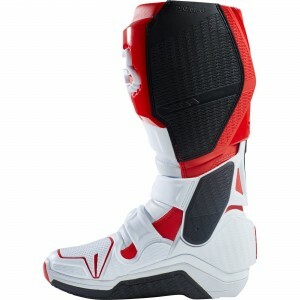 The boots have plenty of Duratac rubber on them too, providing lots of durable protection, shielding and grip. The boots have a low ride chassis too, that means your feet aren’t resting on top of massive, fat soles in the boots, raised up and away from the action. 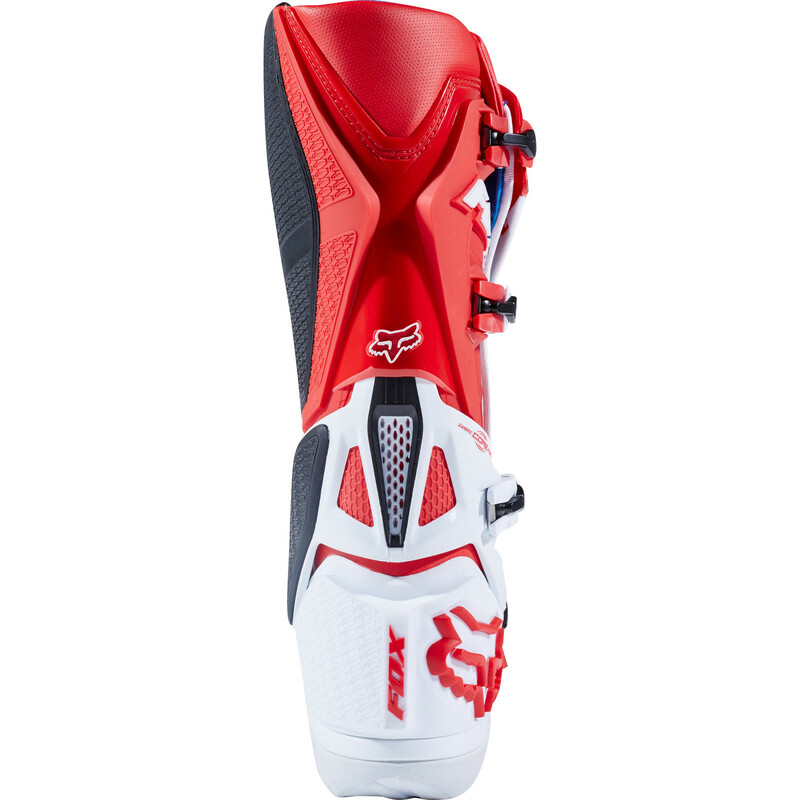 Instead your feet are kept close to the foot pegs allowing you to really feel and respond to what’s happening with the bike. A big problem I see often in the shop is people needing boots with slimmer and smaller toe boxes so that they can shift properly. Fox Racing have also thought this through, keeping the toe area on the boot slim for a more fetching profile and practicality when shifting. 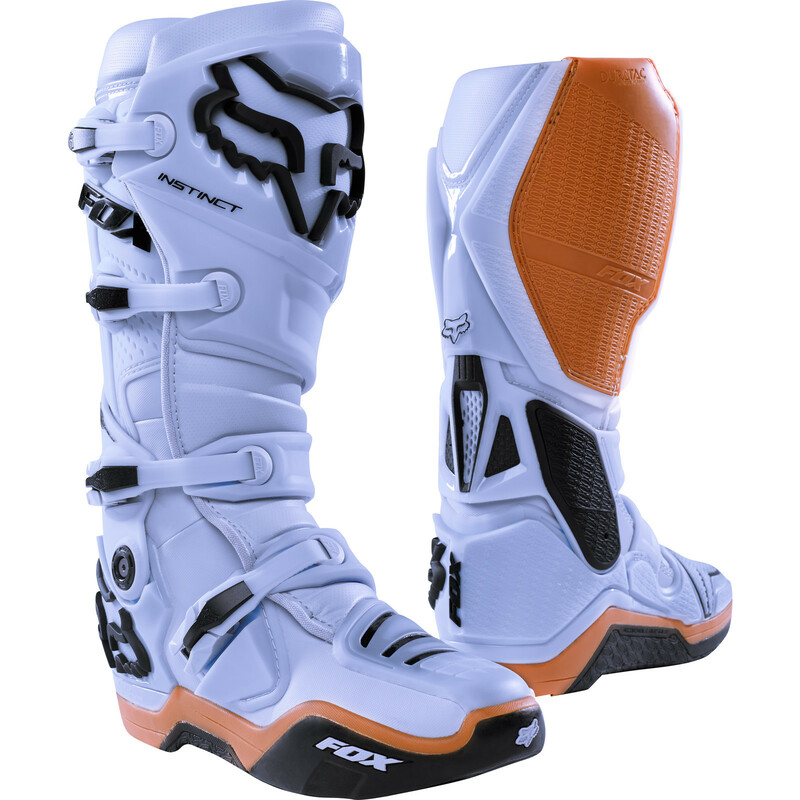 And if you really like these boots but the soles are wearing out on you, the soles are replaceable, so you can breathe new life into a good, reliable pair of Motocross boots. If at all possible, you really do need to come in store and try a pair on, you’ll feel the quality as soon as you slip your foot in and buckle up.